October 31, 2015 September 3, 2016 J.E. 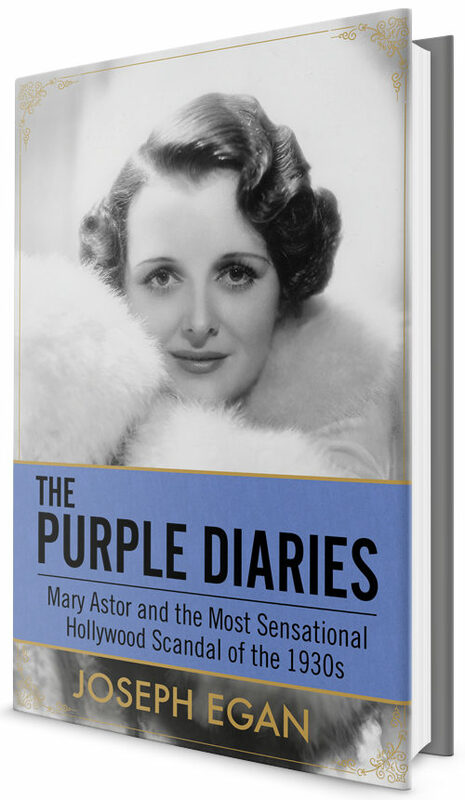 My book; The Purple Diaries: Mary Astor and The Most Notorious Hollywood Scandal of the 1930s is about to be published. At my publisher’s suggestion as well as a contractual obligation, I am required to reach out to social media in order to drum up sales for the book. Thus, the ostensible reason for this blog. 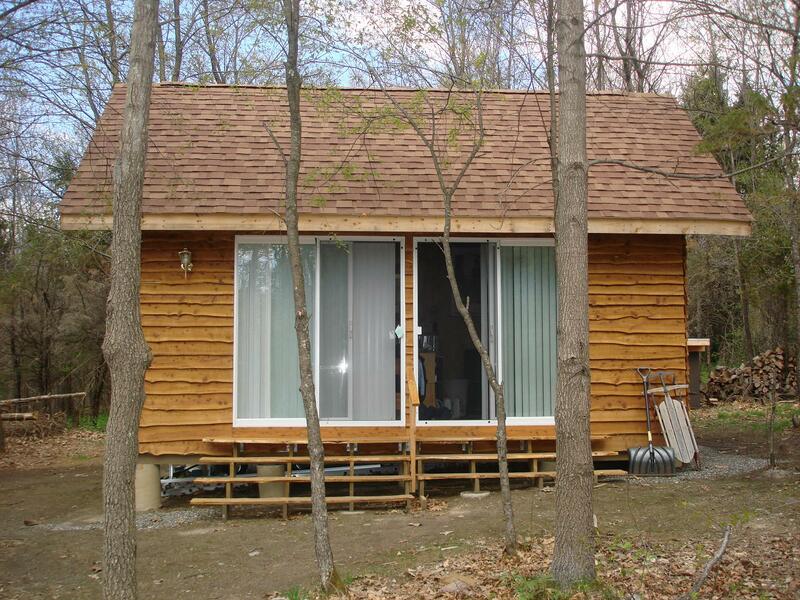 Since I am an extremely private person—I live in the middle of the woods—reading a blog much less writing one is something completely foreign to me. Because I have no idea what-so-ever what blogs are supposed to be, I’ve determined that this might be an advantage as I don’t have any rules and therefore can try anything. So, after much thought and careful consideration what I want to do is write a sort of ‘public diary’ filled with a variety of writings. These writings will be present—written for the blog—past—interesting things I’ve already written—and future—writing about books I’m writing as I write so I might bring interested readers into the writing process—at least my writing process. 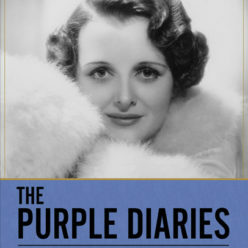 The Purple Diaries is my 11th book but the first I’ve decided to publish. Having the resources allowing me the freedom to let the writing take my writing where it wanted to go and not where book sales, critics, editors and the like wanted to take it. So, having found my voice/style and achieved the ability to convey my ‘vision’ (as pompous as that my sound) clearly and concisely, I felt ready to face the public, the critics and editors so that my muse and not the world at large will guide me. Writers may be interested in writing but publishers are interested in sales and so, in today’s publishing world writers—at least first time published writers like myself—need to aggressively hawk their books. To do this, they are, among other things, required to develop a “platform.” “Platform” is a publishing term essentially meaning a writer’s potential reader base which can be propelled by a variety of things. These ‘things’ can include the similarity of the latest book to the last so readers who enjoyed the previous will want to read the next. John Grisham and his courtroom dramas are a prime example of this sort of thing. Tom Clancy and his thrillers are another. A platform can also be an expertise in a subject about which a prospective reader might want to read with that expertise sufficient to persuade a reader that this book is the one to buy. There are other examples but they are all basically the same thing; a special something that puts a writer above the herd. And a platform is exactly my problem. The Purple Diaries is nonfiction. It is most likely the only non-fiction book like it that I will ever write. 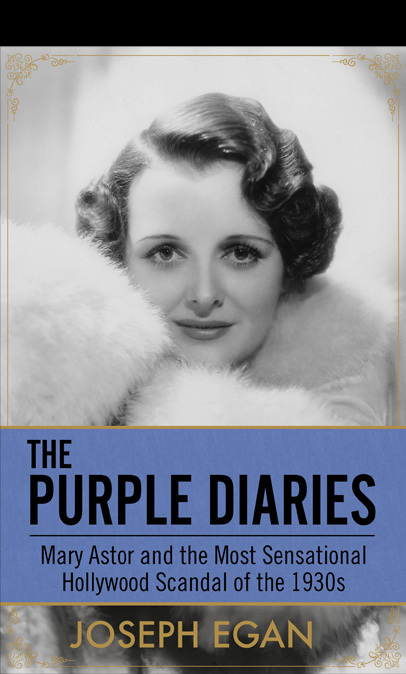 I have written a variety of books—mostly memory and fiction—that in no way resemble The Purple Diaries. This diversity might be good for my growth as a writer but it is counterproductive in establishing a platform and with it a reader base that that will allow me to continue publishing. Thus, we come to ostensible reason for this blog. I’m going to use it to create a platform and that platform will be…..well….me. I intend to write about myself, my thoughts, my ‘adventures’ living on the side of a mountain with a ten foot high fence that surrounds my four wooded acres. A lifestyle that allows me the privacy and seclusion that lets me write without any unnecessary distractions like interacting with other human beings. I think it’s also called being a recluse. When ‘social media’ began to rear its head a number of years ago I asked my step-son who, as a developer/computer programmer was fully immersed in it, what this was all about. 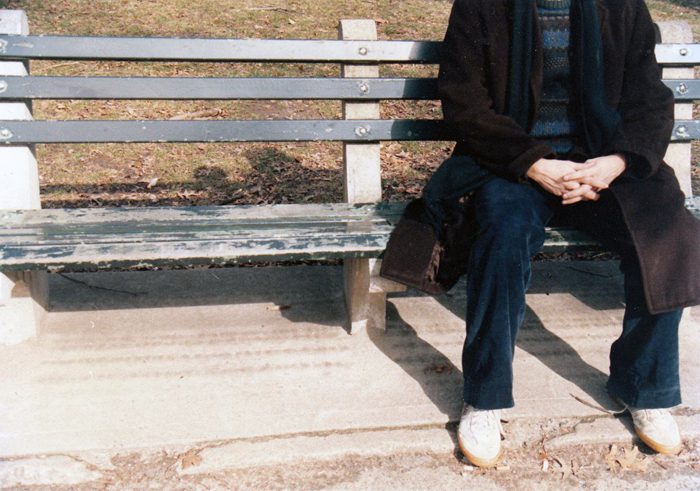 He thought for a moment and told me it was about creating an illusion of a social life without actually having one. In other words it was a controlled, safe venue through which one could disseminate information about oneself without face-to-face contact and all the pitfalls that this can involve—as in rejection, arguments, disputes, slights valid or perceived, etc., etc., etc. It was about what people wanted to convey about themselves in a way that confirmed what they, indeed, actually felt about themselves. On the other, in the real world, when you meet someone you will form a opinion of that person and that opinion is usually quite different from the opinion that person has about them self. Social media pretty much limits this analytical process. But in the case of a self promoting blog—as in this blog—that could be a good thing. I love reading of past Stars, I sometimes think I was born at the wrong era. I’m sure I will love Purple Diaries..